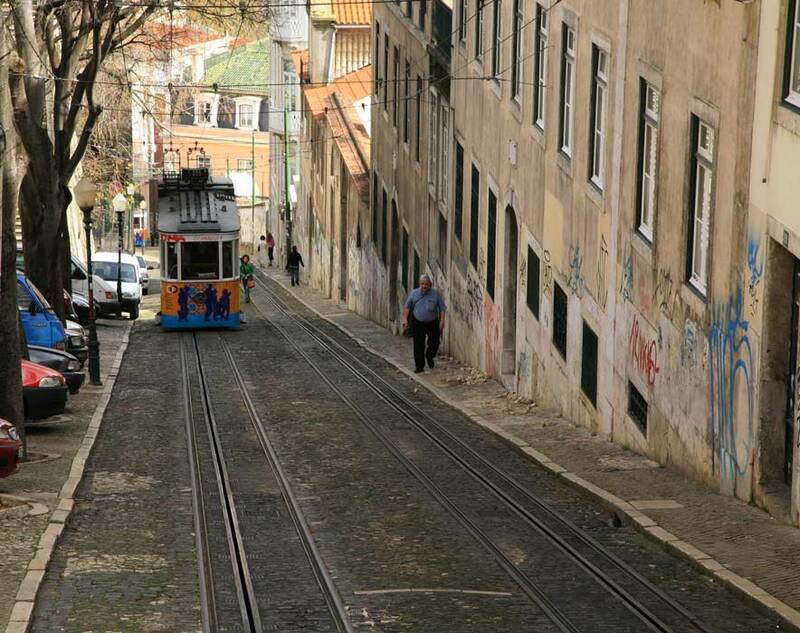 Literally translated, Biarro Alto means ‘high district’, it is of no surprise that this traditional area of Lisbon, one of the few unaffected by the earthquake of 1755, is found atop one of its many hills. Originally this was the realm of the comfortably-off and even today you can see noble houses, some with their own chapels, wresting for space with their smaller, more modest neighbours. Now somewhat Jekyll and Hyde in character in terms of the difference between day and night, Bairro Alto is basically a centre of nightlife and eating out in the centre of the city. In this maze of narrow cobbled streets lives a thriving local community bustling with grocers' shops, butchers and bakers during the day, where washing hangs from ornate wrought iron balconies, the chatter of caged birds fills the air and housewives go about their daily duties in a time-honoured way. At night, all changes. Shops close and bars and restaurants, invisible during daylight hours, open up in a multitude of guises. 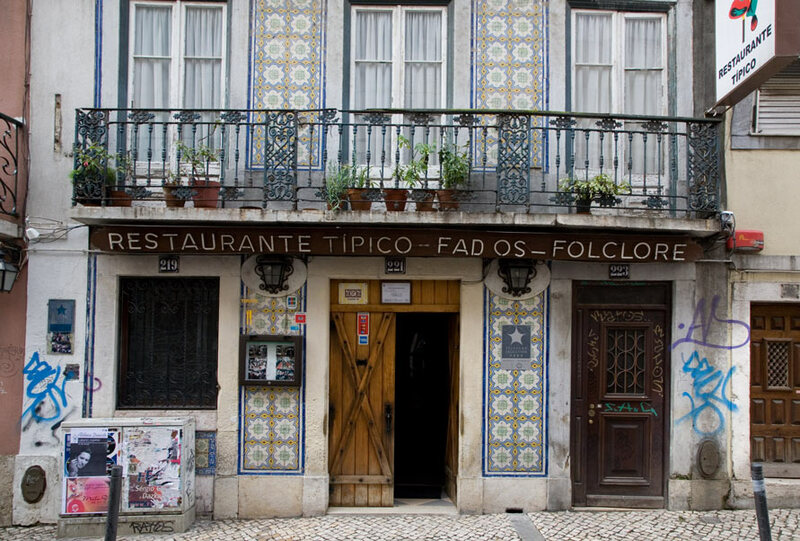 Traditional fado can be heard here, be it in a well-heeled restaurant or in one of the more basic local bars, a tasca. Likewise a couple of jazz bars keep people chatting and drinking until the early hours of the morning. 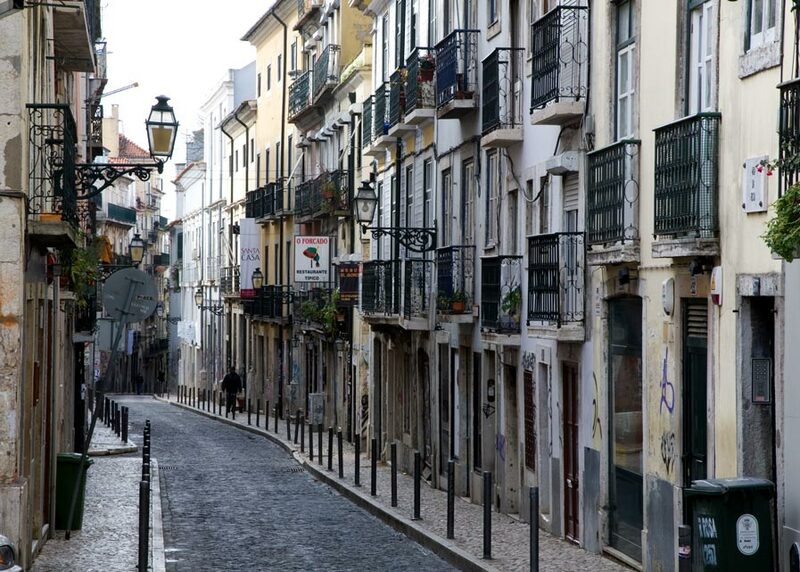 However, in Bairro Alto the focus is often on the young people of the city, especially at weekends when hoards of nocturnal drinkers and revellers fill the narrow streets outside certain bars. Although sometimes a little seedy in places, it is generally a friendly and fun night out where almost anyone could find a little of what they like. Another side to this quarter is that it is at the cutting edge of Lisbon fashion, this being reflected in many of the more upmarket bars. Globally acclaimed fashion designer Fátima Lopes has a store and bar here, and other boutiques offer extravagant and eccentric designs, often opening into the evening. Music, antique and other interesting shops are also dotted around, including a condom shop full of interesting and useful items for the sexually active. Those wishing to eat out here are presented with a wide variety of reasonable eateries. Various tascas offer traditional Portuguese cuisine at decent prices, some with free 'street' fado thrown in. Try the flaming chouriço (spicy cured sausage), caldo verde (cabbage soup) and the Fado Vadio at the Tasca do Chico on Rua Diario de Noticias. However, this is not the limit and here perhaps more than anywhere else in the city will one find food to potentially suit all tastes. Italian, Indian and Chinese establishments abound alongside Spanish style tapas bars, Moroccan restaurants and an Argentine steak house.